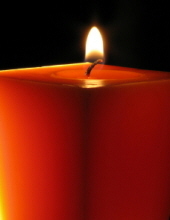 Patricia Thompson, 79, of Endwell, NY died peacefully on February 8, 2019 after a short illness. Pat was predeceased by her mother, Elizabeth Thompson, and her father, Floyd Thompson. She is survived by her sister, Kathy (Kate) Crowley and brother-in-law, James (Jim) Crowley of Tunkhannock, PA, and her beloved cat, Gracie. Also surviving Pat are her aunt, Alice Thompson of Deposit and several cousins. Born in Binghamton, Pat graduated from Deposit High School where she worked in the administrative offices for over 50 years until her retirement. Pat loved working with the school district and had many fond memories and friends from her time there. Based on her wishes, there will be no services. The family wishes to extend their sincere thanks to the Good Shepherd Village staff for their compassionate care throughout Pat’s stay there. If you wish to honor Pat’s memory, please consider a donation to the Deposit Educational Endowment Program (D.E.E.P. ), P.O. Box 22, Deposit, NY 13754. To plant a tree in memory of Patricia A. Thompson, please visit our Tribute Store. "Email Address" would like to share the life celebration of Patricia A. Thompson. Click on the "link" to go to share a favorite memory or leave a condolence message for the family.